Queensland Fire and Emergency Services (QFES) provides vital fire and emergency services to the communities of Queensland. Whether you're on the front line or supporting those who are, every role within QFES counts. Here at QFES, we are strong supporters of gender equity and are continuing to make our workplace an employer of choice through our Work180 accreditation. We are creating a culture that supports our workforce through paid parental leave, flexible work arrangements and leadership programs. We are proud to be a diverse and inclusive department that fosters an open, safe, supportive and healthy culture for everyone. We appreciate and value each other and our differences. We are individually accountable for our performance and undertake our duties with diligence and transparency. We are brave when facing adversity, value ethical behaviour and challenge wrong doing. 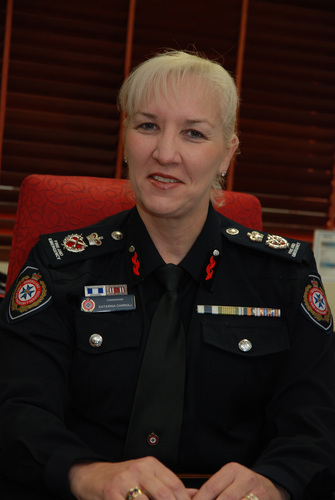 We are committed to each other, have pride in our organisation and are dedicated to keeping Queensland communities safe. We are open, honest and dependable. We recognise how a supportive, inclusive and capable workforce is key to our culture and creates a dynamic environment.